A letter to a Captain Gardner is a follow up from a previous letter in April about requests from the US Navy. The majority of the letter is a direct excerpt from a communication from the Meteorological Division of the navy outlining what data they want Canadian weather stations to provide. G. W. Rowley, “Letter from G.W. 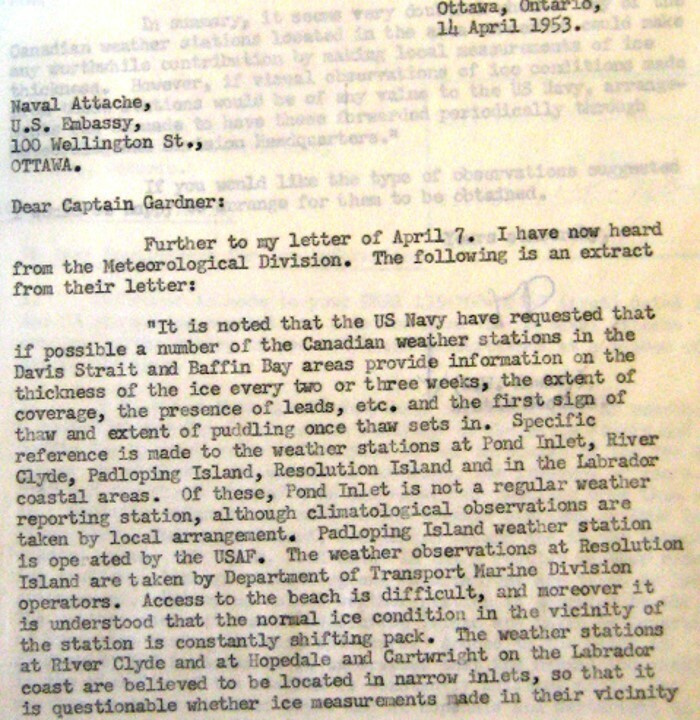 Rowley DRB Arctic to Naval Attache Captain Gardner at the U.S. Embassy, Ottawa,” Exploring Greenland, accessed April 19, 2019, http://exploringgreenland.org/items/show/20.